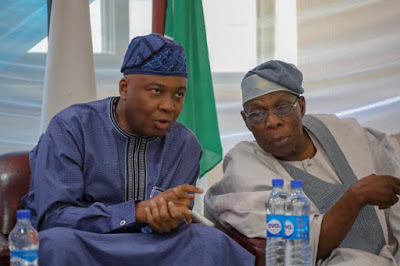 TRACKING>>Senate President Bukola Saraki says Bola Tinubu is angry with him because he opposed Tinubu’s ambition for the All Progressives Congress (APC) to field a Muslim-Muslim ticket in the 2015 presidential election. It was believed that Tinubu wanted to be running mate to President Muhammadu Buhari but that would have presented an all-Muslim ticket, which Saraki seriously opposed. The Senate President said Nigerians will punish the APC on Saturday.